Recently, we’ve been updating our most popular reviews and comparisons. We’ve covered everything from Weebly to Carbonmade, but have yet to mention one of the most trusted names in the market – Homestead. We are going to correct that with a detailed review of this website builder. Founded in 1996, Homestead Technologies, Inc. soon became a leading service for DIY website creation. Having no competition, the company managed to build up quite a name for itself, offering easy-to-understand features combined with an intuitive interface and affordable pricing. It was its finest hour. Today, Homestead seems to lose steam. It works, but it doesn’t seem to grow anymore. The first thing you might notice about Homestead – especially if you’re familiar with other site builders – is that its interface is very outdated. It doesn’t necessarily mean that it’s bad, but it’s just not as beautiful and modern as those we’ve seen in Squarespace and Wix, for instance. Despite its old interface, Homestead makes it incredibly easy to create a website. The only roadblock in your way can be the sign-up process that requires entering your billing information. On one hand, this is an obstacle, on the other hand it’s a wise decision that keeps the system (and the web) clean from malicious, spam and abandoned websites. Once you have signed up, you’ll have to answer a few simple questions like What is the primary purpose of your website? to help Homestead direct you to the right trial. Based on your answers, they can also recommend various add-ons (SimpleStore or WebListings, for example) that you can either enable immediately or simply skip and get back to them when the need arises. The control panel of Homestead is well organized – you can easily add new pages, rearrange your sitemap and edit the content. SimpleStore. Using SimpleStore you can easily sell online up to 100 products, giving your customers an easy checkout experience with multiple payment solutions. If you want to sell additional products, get inventory management and reporting, you need to opt for their Advanced Ecommerce. WebListings. With this service, your business will get greater exposure to local prospective customers. It will automatically send your business information to Google, Yahoo, Yellowpages.com and 100+ directories. This service saves your time by letting you edit and update information in a single place (we’ve seen something similar in Webs). Other marketing tools include Paid Search Ads, SEO services and Website Statistics. 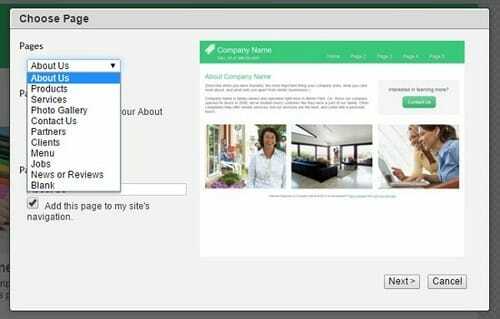 Homestead also offers a native blogging platform and set of ready-to-use widgets, such as Forms, Polls, Photo Albums, Guestbooks, Maps and more. Homestead designs are outdated for my liking. The builder offers a huge selection of these, but it’s really hard to find something decent. The good news is that the design you select is just a starting point. All colors, images, copy and layout can be fully customized later. You can also insert your own HTML code into specific areas (the header, for example). Homestead offers various types of support. Firstly, there’s a built-in tour that explains the basics of working in the editor. Secondly, there’s Homestead Community where you can view existing conversations, share your expertise and post your queries. Thirdly, they provide live support over phone and chat. Homestead doesn’t offer free, never expiring accounts like most of its competitors do. It offers a 30-day free trial and tiered pricing scheme. After the 30-day trial period, you will automatically be billed $5.99 per month for the Starter package. Your account can be cancelled anytime with just a few clicks – it took me one minute to cancel mine. Other plans include Business ($20.99/mo) and Business Plus ($60.99/mo). 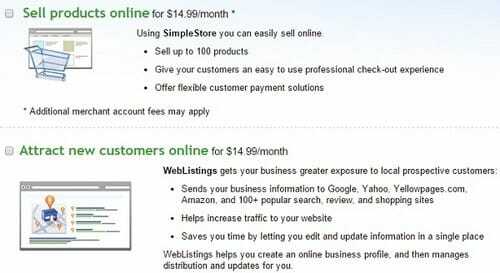 Homestead also offers a full service package that covers website design, ongoing maintenance and search engine optimization ($149.99/mo). The biggest drawback in pricing policy is the impossibility to test w Homestead interface without giving your credit card information. Today this looks like anachronism. Homestead doesn’t offer any mobile-friendly solutions. Their templates aren’t responsive. However, their Community leaders say that the company has been making progress in this direction. Homestead doesn’t support user management capabilities. Boring templates. Homestead is one of the most trusted names in the industry. It does build solid websites that operate seamlessly. However, these sites don’t look good on mobiles – the company hasn’t come up with a mobile solution yet. Also, their designs require a major overhaul. Dear Homestead users, I’d love to hear from you! Please share your experience in the comments.